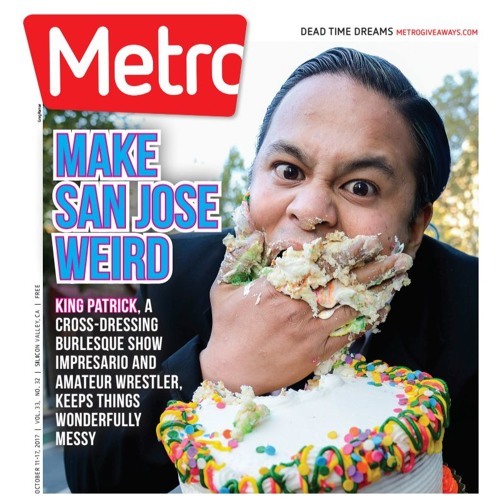 Let's get weird... Join us for an exploration of the bizarre mind of Silicon Valley's oddest oddball—King Patrick Eugenio, the gender-bent star San Jose's of the Underground Wrestling Alliance and host of the regular Circus of Sin burlesque nights at The Caravan Lounge. We'll talk about the bumps and bruises he incurs in the ring, the sideshow acts he brings to his circus and learn more about what makes him tick. Also: we discuss the fires that have devastated our beautiful wine country and the city of Santa Rosa, the Levi's Stadium curfew and how VP Mike Pence can't do anything without Drumpf's approval. All this and more on the 21st episode of the SV411 podcast.